Anatomy of an Affair: What Are the 4 Phases of a Close Call? 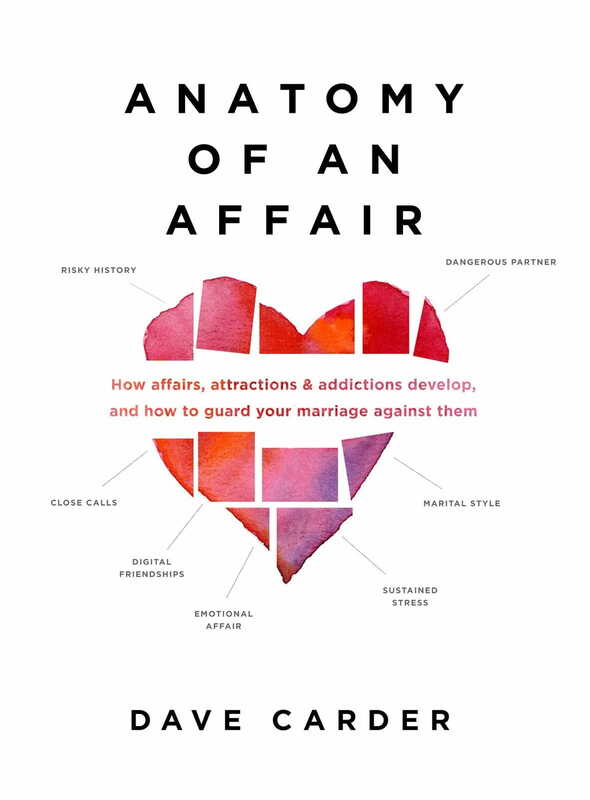 Editor's Note: This is a condensed version of an excerpt from Dave Carder's book, Anatomy of an Affair: How Affairs, Attractions, and Addictions Develop, and How to Guard Your Marriage Against Them. It has been edited with the author's permission. Close calls are virtually all alike. They begin with an attraction to somebody other than your spouse that causes you to think about your time with this individual simply for the pleasure that it provides you. Somewhere in this phase, a mere friendship ceases and a close call starts. Your conversations progress from topics related to your mutual interest to far-ranging ones—and soon into personal issues. You scheme and plan on how to be together more often, for more time, without raising anyone’s suspicions. Let’s look at the four different phases of a close call (or an affair). After all, most people who have an affair are not out looking to do so. But because we all are sexual creatures, created by God with that dimension of our personality, some sexual attraction toward another person (even though we are not married to that person) is natural. Those who cannot accept that such feelings are normal will often deny their existence. Christians especially hate to acknowledge this sexual attraction. Denial becomes the defense mechanism of choice. Yet denial doesn’t solve anything. Just because you don’t acknowledge, even to yourself, that you feel the attraction doesn’t mean that the attraction has stopped developing. In fact, it usually intensifies the problem. When you’re in denial, the desire to be around the other person “goes underground,” and contact with that person is often initiated unconsciously. This is the infatuation phase. It begins with verbal signals. That’s a good reminder for married couples! Fantasy creeps in here very quickly too. Eventually, Phase 1 (Growing Mutual Attraction) moves to Phase 2 (Entanglement) when the future adulterer shares these feelings of attraction with their potential partner. Those feelings might be couched in an intended compliment such as, “If I wasn’t married, I would think of marrying you,” but nevertheless the message to the dangerous partner is that you are thinking about him or her. Those who have slipped from a close call into a full-blown affair have said that this is the point at which everything changes: the emails, voicemails, verbal comments, meetings, lunches, all become saturated with emotion. The denial of it all allows the emotional intensity to grow to the point that it appears that a “spontaneous combustion” occurs the first time they become sensual with each other. Most affairs, even one-night stands, have “on-again, off-again” periods when the partners withdraw from each other and try to stop the relationship. This behavior is called “intermittent reinforcement,” and B.F. Skinner argued that it is one of the most powerful of conditional practices. When continued over long periods of time, these emotional attachments can become so intense and consuming that physical health suffers and emotional well-being and job production decline. Being with this other person brings a sense of normalcy, some healing to life’s hurts, as well as comfort and security. This is what we all yearn for in our marriages—the “I want to be with you” feeling, not the “I’m too busy; I don’t care what you do” response. It is the desire to be wanted! The destabilization process reflects what can happen in a good marriage. In their effort to return to normalcy, most affair partners in this stage try to refocus on the demands of life. But due to all the mixed feelings in the relationship (fear, guilt, infatuation, shame, and so on), they cling to each other in unhealthy ways for reassurance. However, if a marriage can take the good from this process—the periodic intense passion and love for each other—and leave all the negative feelings out of the picture, the married couple will be on their way to building a great relationship. It is the practice, not the person, that needs to be added to the marriage. A good marriage doesn’t have to go through this phase. Most affairs do. Even those couples whose affairs resulted in marriage have a difficult time building and maintaining the trust, respect, and safety that the affair initially appeared to provide. Without commitment, sexual passion creates an artificial sense of closeness. It is the unrealized sexual satisfaction (sexual tension) in a dating relationship that provides the energy for the couple to work through the differences in their backgrounds, their goals and values, and so forth. Too often, though, these same couples, after marriage, don’t continue creating the passion that an affair provides. They had it once and they let it die. This is why most unfaithful spouses coming back to their marriage work so hard at rebuilding what they once had. It might sound very strange to you, but in most cases the passion of the affair was what was missing in the marriage. Many people who have a close call—or a close call that leads to an affair—are looking for the excitement that has faded from their marriage. Their marriages and daily lives have become routine, predictable, and boring. So how does a couple begin to redevelop these special kinds of experiences? Well, one key is thinking back on how the two of you started your relationship. For most couples that meant cheap dates. It meant finding ways to have fun even when you didn’t have that much money. The next exercise will help you identify some of those experiences, as well as others in the marriage that are highlights in your relationship. These are the grand events that convinced you that you were made for each other. They don’t have to be dramatic dates, just great memories. But don’t list anything that has to do with your children, other couples, or your wedding day (the honeymoon, however, is an option). Each of you is to list what you consider to be the top eight great experiences in your relationship. Divide your list into three columns: the experience, the season of the year, and the location. Some of your experiences will undoubtedly be influenced by where you were at the time and the season of the year in which you had this experience, so those are important components. After you have written out the eight greats for yourself, sit back and take a look at these highlights. How do you feel looking at this list? How long has it been since you had an “eight great” experience? It’s not too late to recapture the feeling, so the next step is to merge your two lists. After you have written down the matching items, the wife chooses the next one, the husband chooses the next, and so forth, until you have your merged list. The excitement these kinds of experiences generate is often the kinds of things people will look for outside their marriage if they don’t find them with their spouse. Get started adding excitement back to your relationship with your significant other! It doesn’t matter what it costs; enhancing and protecting your marriage is worth it! DAVE CARDER serves as Pastor of Counseling Ministries at First Evangelical Free Church of Fullerton, CA. His specialty is Adultery Recovery and Prevention for which he has appeared on numerous media outlets including The Oprah Winfrey Network, Discovery Health, and The Learning Channel, The Tony Robbins Passion Project, Ladies Home Journal, USA Today, The Counseling Connection, and various other magazines and journals. He is the author or co-author of Torn Asunder: Recovering from an Extramarital Affair, Close Calls: What Adulterers Want You to Know About Protecting Your Marriage, and Unlocking Your Family Patterns: Finding Freedom from a Hurtful Past. He holds the Michigan Limited License for Psychology and the California Marital and Family Therapy license, and has graduate degrees in Biblical Literature and Counseling Psychology. Adapted from: Anatomy of an Affair: How Affairs, Attractions, and Addictions Develop, and How to Guard Your Marriage Against Them. Copyright © 2017 by Dave Carder. Published by Moody Publishers, Chicago, Illinois. www.moodypublishers.com. Used by Permission.